Control the Effects of Your Home's Thermal Mass with Patio Roll Away Shades - Longhorn - Screens. Shades. Shutters. Commercial and residential architects are looking deep into how to save energy while powering and cooling (or heating) a building. One of the recurring themes for people willing for make or customize their homes is reducing the impact of thermal mass. But you don’t have to start building your second home on an empty plot to take advantage of the idea. How does thermal mass impact your energy bill? Different materials absorb heat at different rates, and some materials can store up the heat for a long time. Go outside tonight and feel the exterior brick wall of your house. Even when it cools down in the evening, the brick is still warm because of all the heat it absorbed from the sun. During the winter, that can be a good thing because it protects the interior from sudden temperature drops while everyone is still active after sunset. But during the summer, it can mean there’s no relief from the heat and it can feel like your home is baking in the late afternoon. This added heat finds its way into your home, and that means your air conditioner has to combat it with even more energy to keep the house comfortable. How can a roll away patio shade help? A patio shade primarily keeps your patio comfortable. It blocks direct sunlight, rainfall, and leaves if your patio is near a tree. But it also stops the wall behind you and the patio floor from absorbing all of that heat. Brick and concrete have a high thermal mass, so they can absorb, store, and disperse a lot. Even a wooden deck can collect more heat than you’re comfortable with. So use a patio shade not only for the shade that protects you but for the shade that keeps the environment cooler. The protective effect of the patio shade doesn’t just help while you’re on the patio. It also shades the exterior wall so it doesn’t store up so much heat and let it inside. If the wall adjacent to your patio also has windows, that shade can stop the natural light’s heat from building up in your curtains, your furniture, and even your flooring. 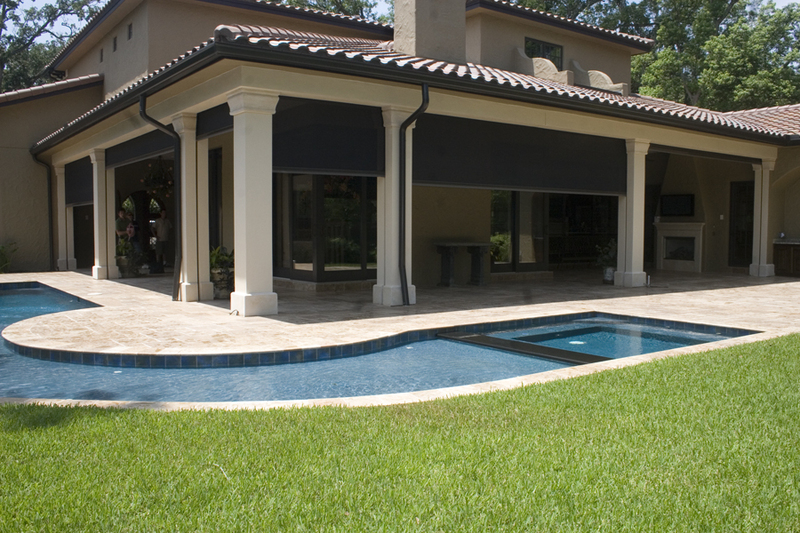 Go to Longhorn Solar Screens to find the roll away patio shade that fits your patio and style.